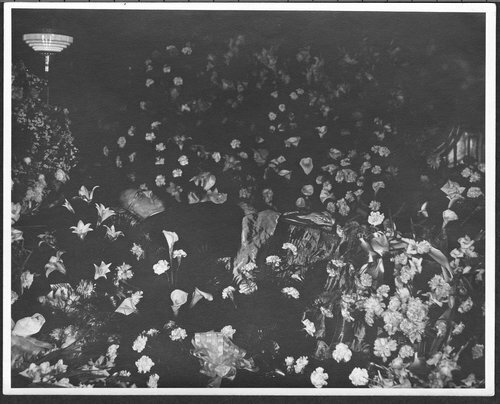 A photograph showing Dr. John R. Brinkley in his coffin. He died May 26, 1942 and the funeral services were held at the Methodist Episcopal Church in Del Rio, Texas. He was buried at Forest Hill Cemetery in Memphis, Tennessee.